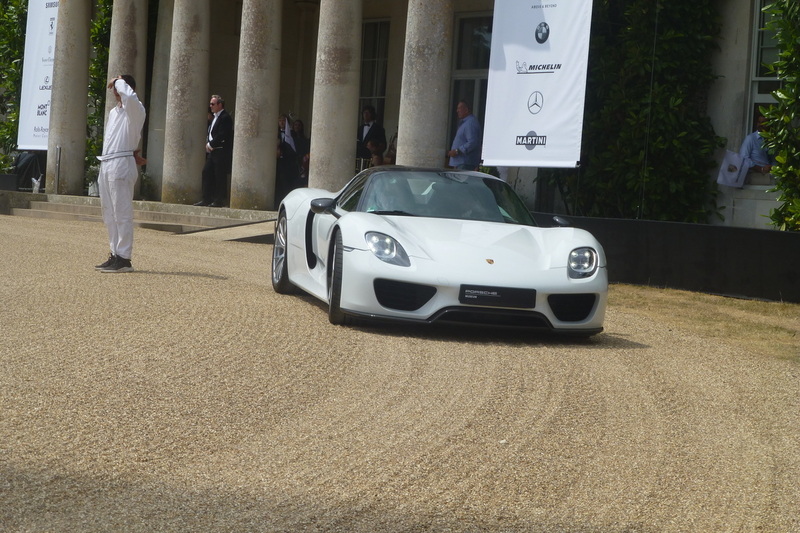 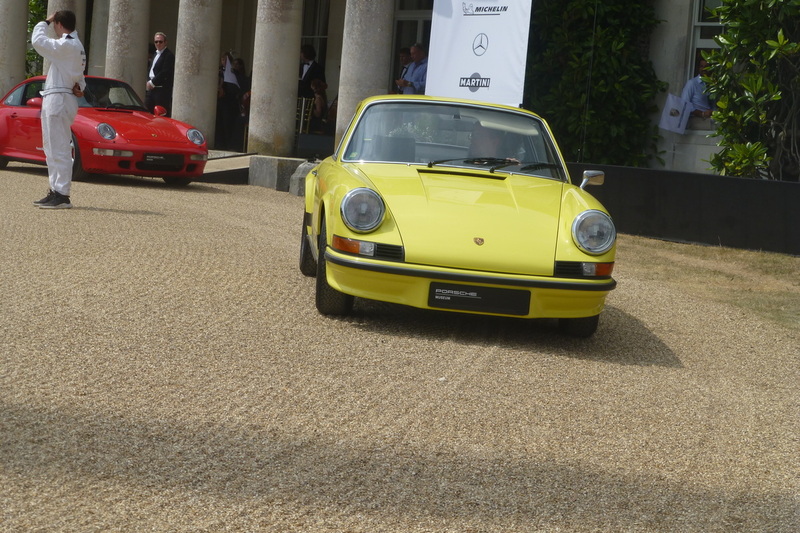 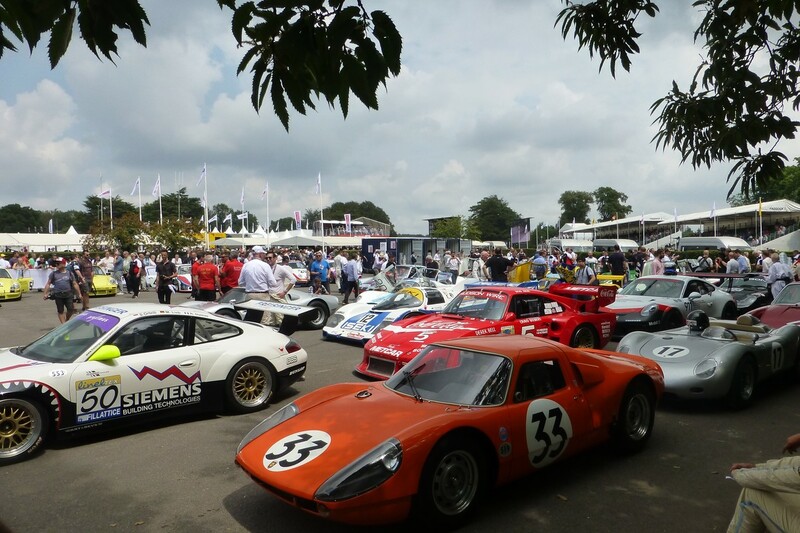 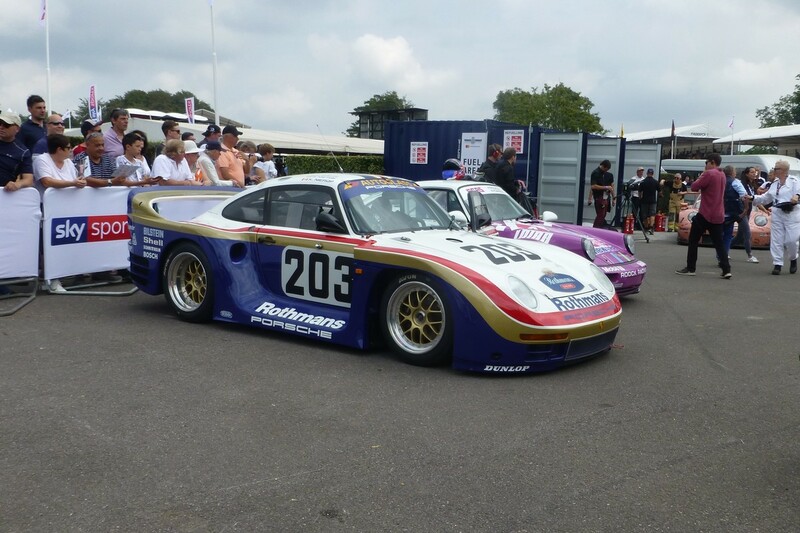 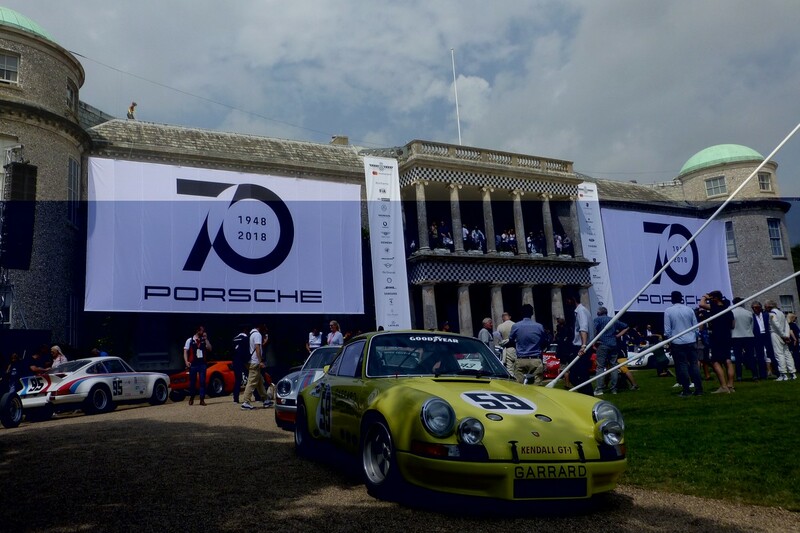 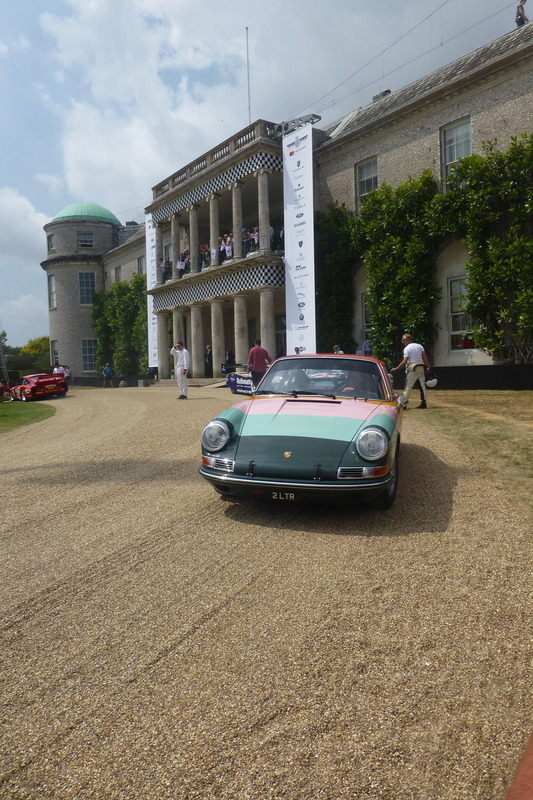 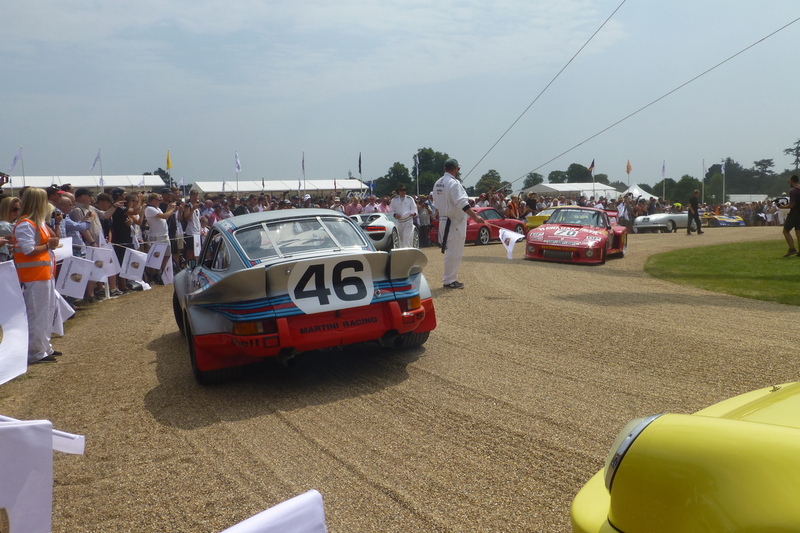 If the 25th anniversary of The Goodwood Festival of Speed will be remembered for anything it’ll be the weather and of course the cars; four days of, hot, blazing, sunshine, and four days of the gardens at Goodwood House being chock-full of beautiful, and very rare, Porsches. 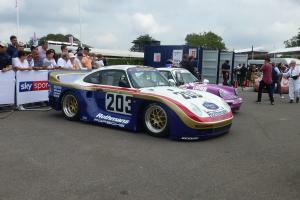 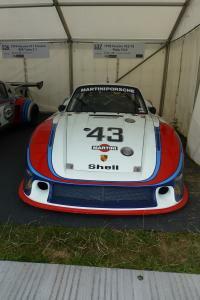 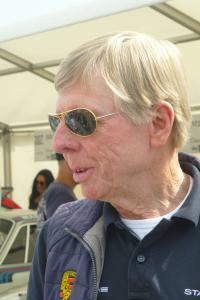 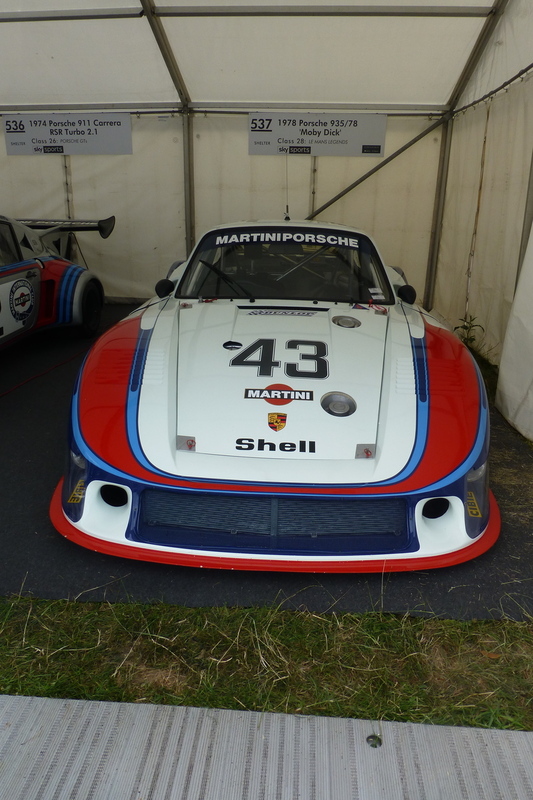 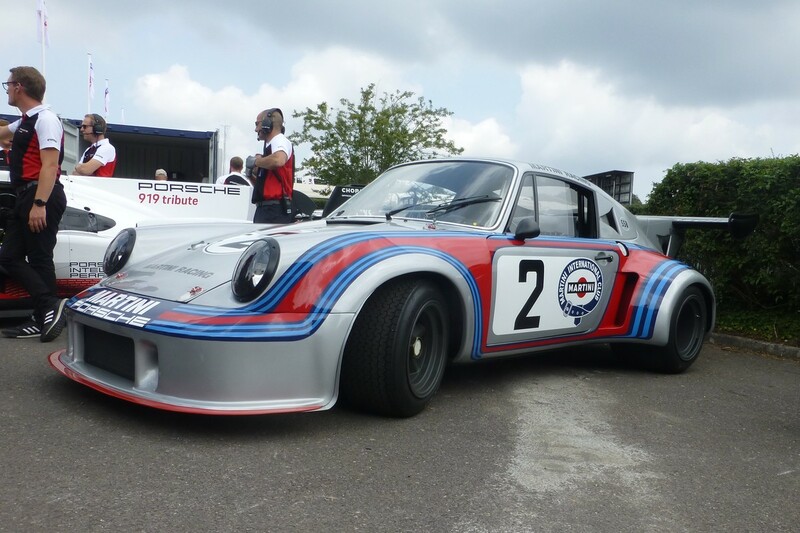 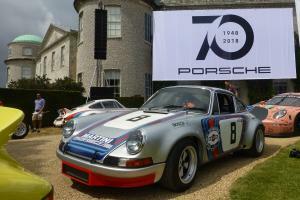 The iconic Stuttgart based marque was given a 70th birthday bash that will surely go on to become a long-lasting memory for all who attended – long, long after the multi-cylindered racing engines and the tyre squealing stopped, the cars were packed into covered trailers, and the Sussex sun went down. 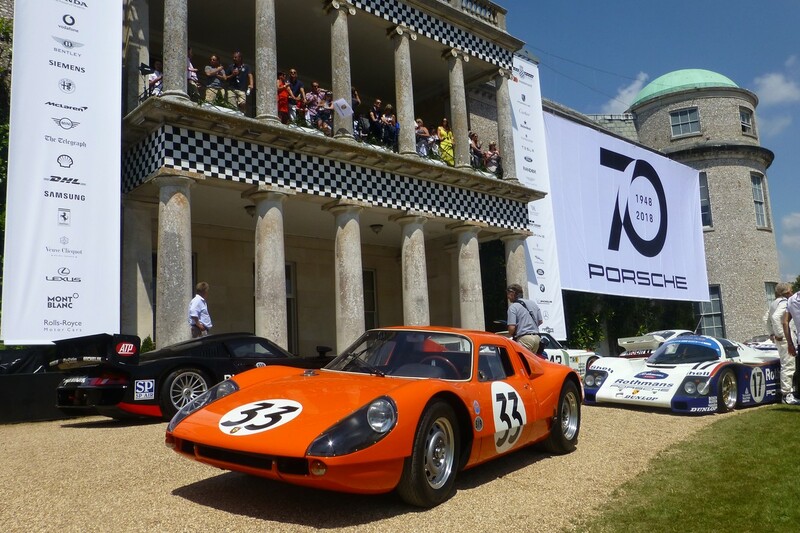 The celebrations started with the unveiling of the tallest central feature in Goodwood history – higher in fact than Nelson’s Column – which saw six of the German manufacturer’s cutting-edge sportscars suspended high in the air. A stunning firework display opened the event, illuminating an early 365, a 959 Dakar, the brutal and iconic 917, the hi-tech 918, a 911R and a 919 Hybrid in the late evening sky, as Porsche became the first manufacturer in the 25-year history of West Sussex festival of all-things automotive to feature for the third time on the Gerry Judah designed central feature. 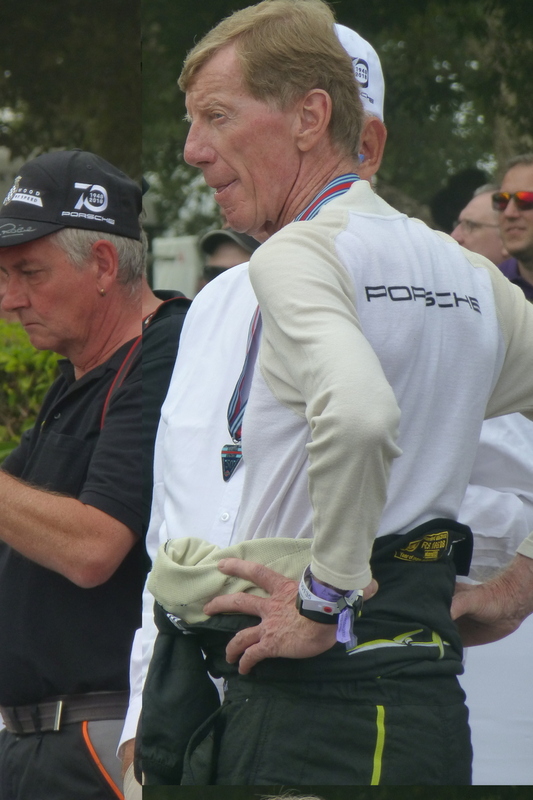 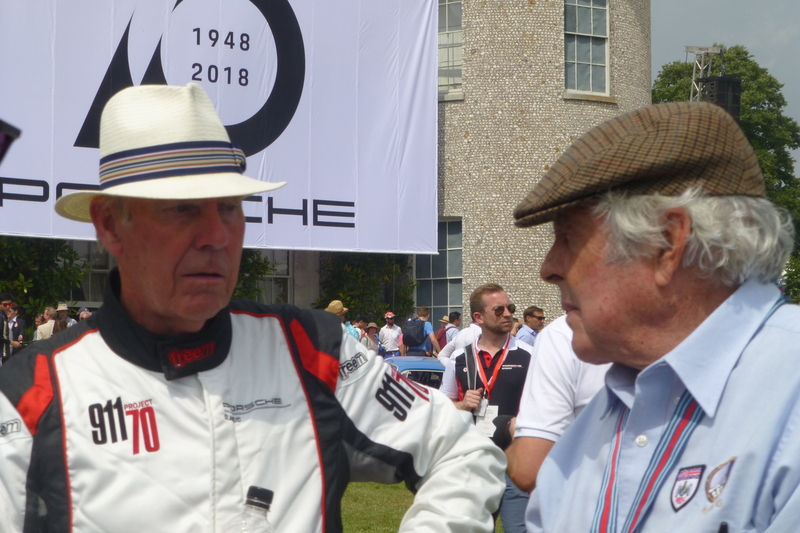 It speaks volumes for their importance and influence on the world of motorsport. 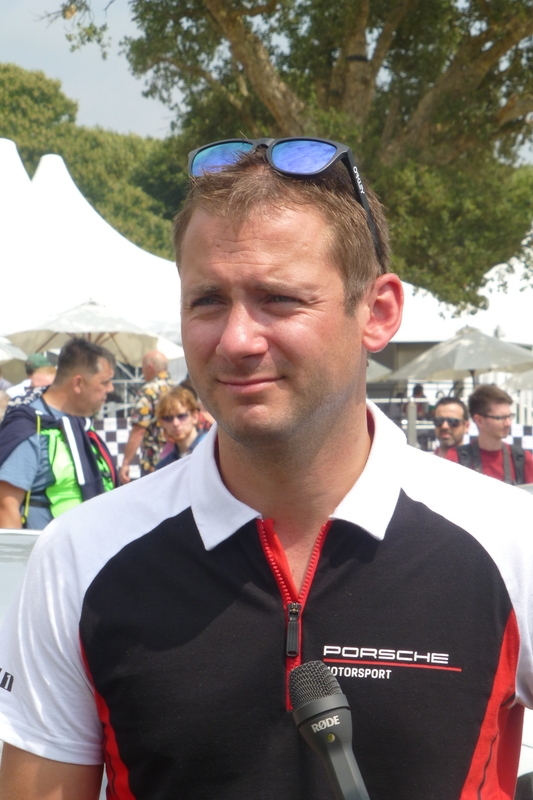 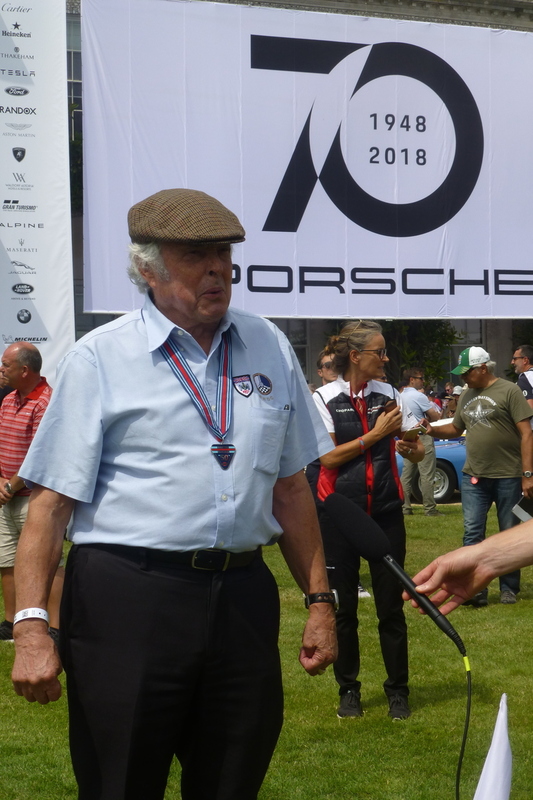 Porsche is the world’s largest manufacturer of racing cars and can claim more than 30,000 race victories in almost every motor sports series worldwide, and with a record number of overall victories to its credit, Porsche is also the most successful manufacturer in Le Mans history. 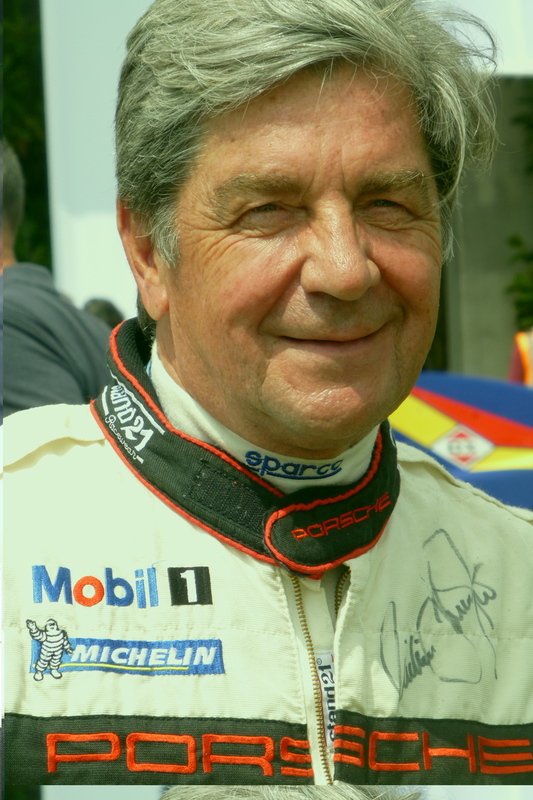 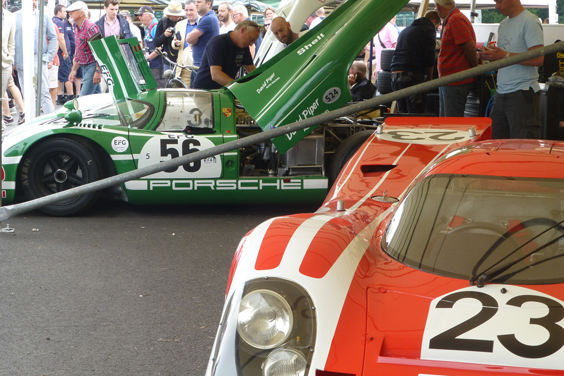 Many these successes have been achieved with immensely powerful specialist race cars like the evocative 917, 956, 962 and the iconic 911 sports coupe – all of which of course were in attendance, and in many guises and world famous liveries. 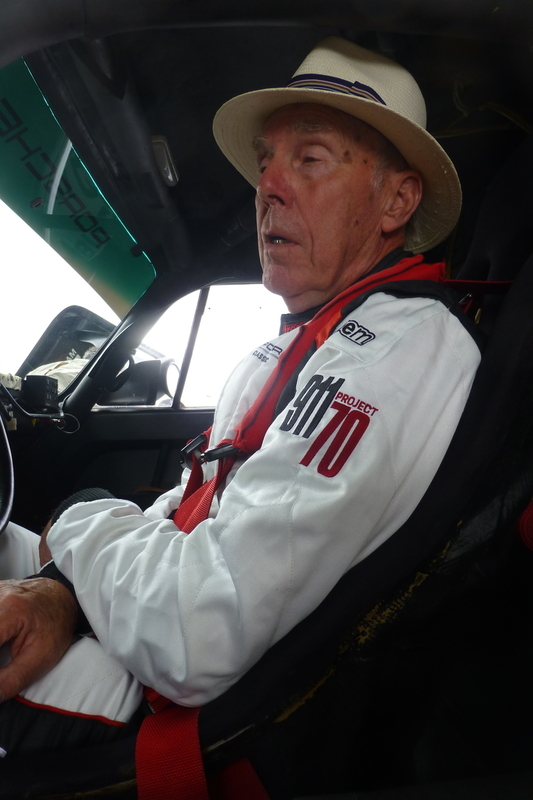 And so too were the drivers that claimed many of those historic victories. 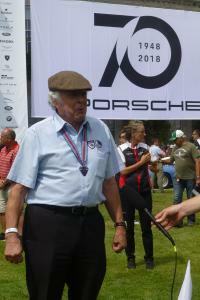 Porsche racing legends such as Richard Attwood, Derek Bell, Hurley Haywood, Jochen Mass, Walter Rohrl, Christian Geistdorfer, Gijs van Lennep, Nick Tandy and Manfred Schurti all happily mingled with the assembled legions of fans, signed programmes, and stopped for the now obligatory selfies, as did Porsche collector extraordinaire and Urban Outlaw himself, Magnus Walker and multiple gold medal winning British Olympian Sir Chris Hoy. 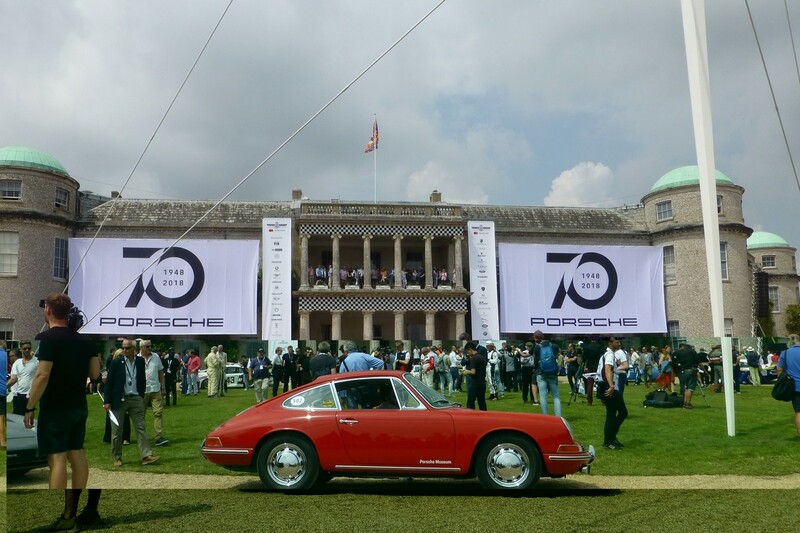 The party atmosphere just kept rolling, with daily lunchtime displays of Porsche engineering and racing history, plus large enthusiastic crowds, congregating around the central feature, and the perfectly raked gravel, right in front of the Duke of Richmond’s front door. 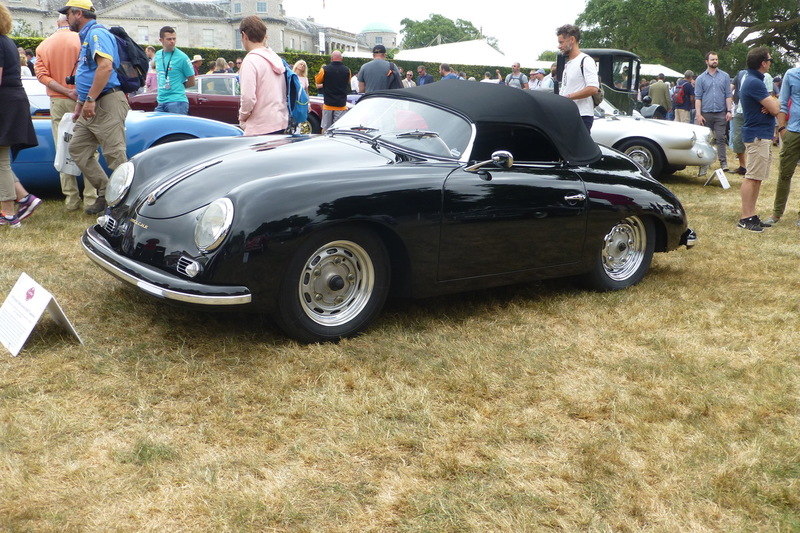 Porsches of all ages, including the very first car to bear the name, chassis number 356-001, were also to be found on The Cartier Style et Luxe Lawn as well as another huge array making their way, and somewhat swiftly I might add, up the famous country house hill climb course. 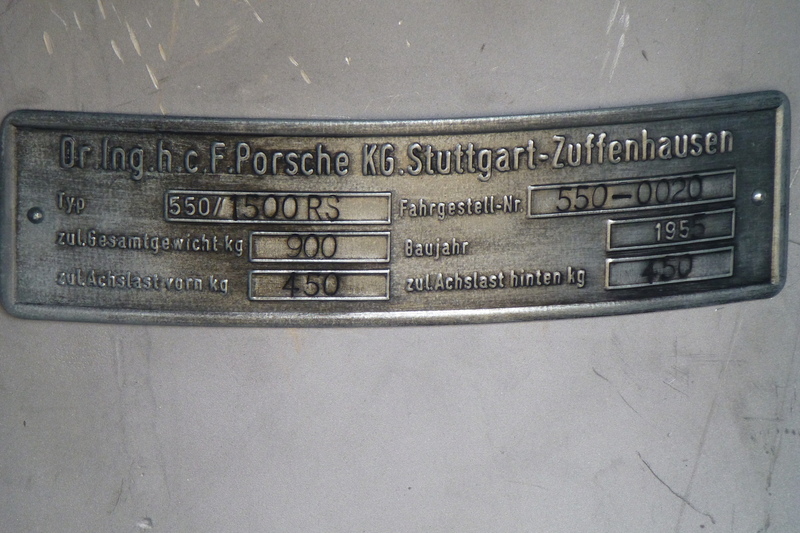 “Excellence was expected”, as Ferry Porsche once said. 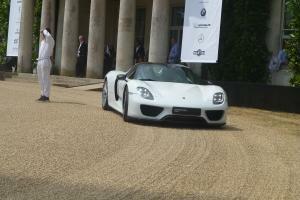 And indeed it was delivered. 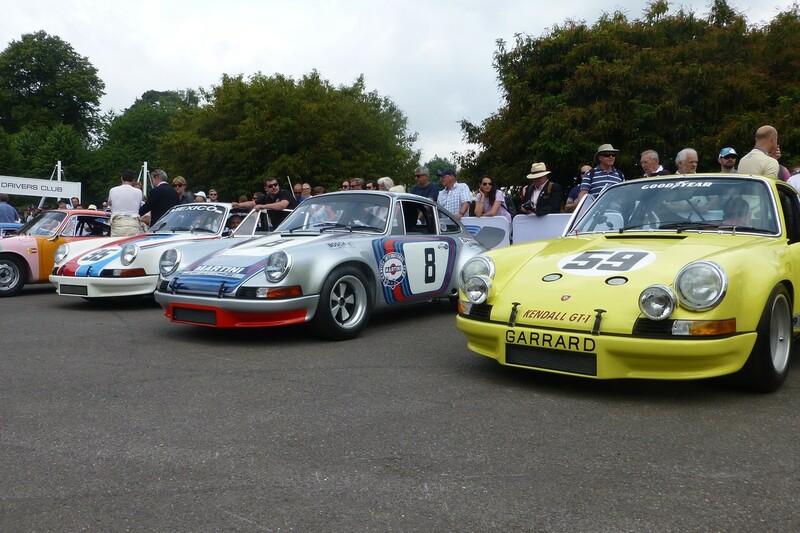 Nothing was left to chance, no Porsche stone left unturned; the attention to detail, the gathering of cars and drivers from around the world, and the West Sussex weather all turned out very, very, nicely once again. 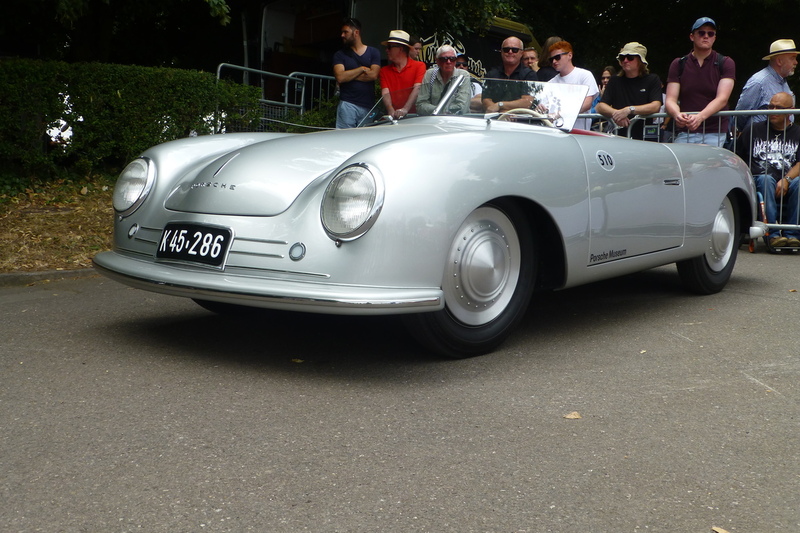 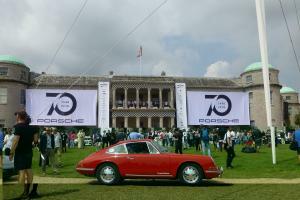 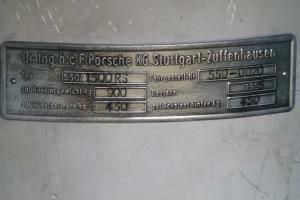 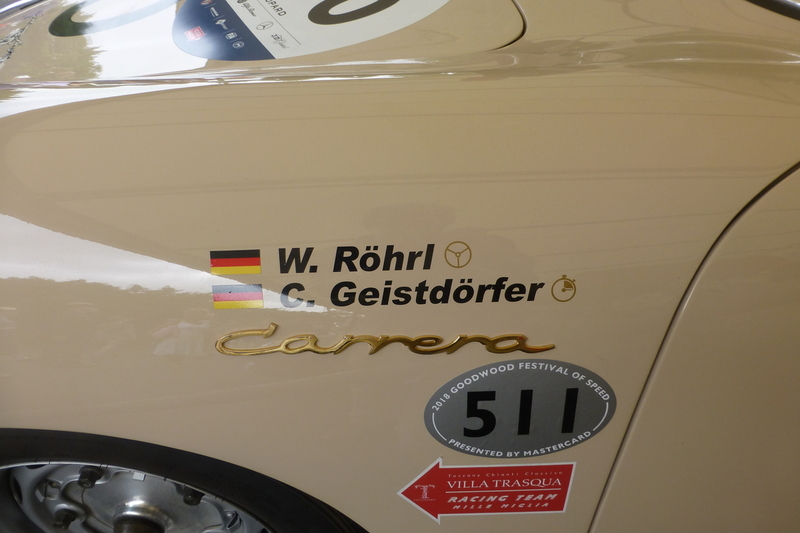 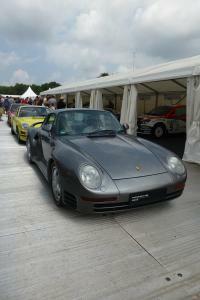 Happy birthday Porsche – or alles Gute zum Geburtstag, as they say in Stuttgart. 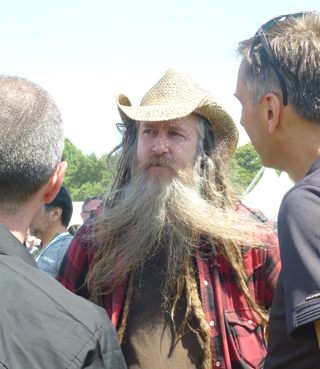 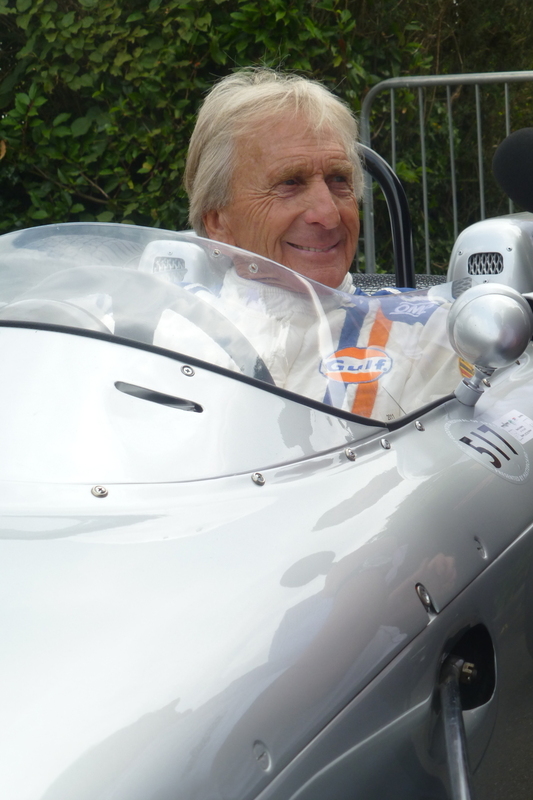 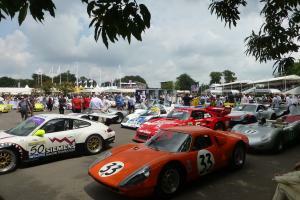 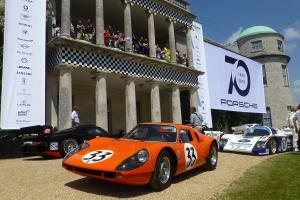 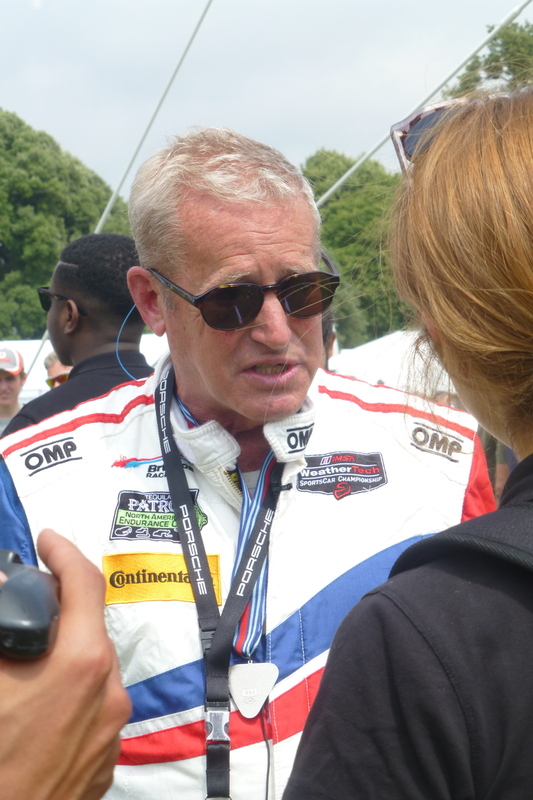 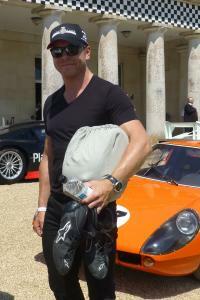 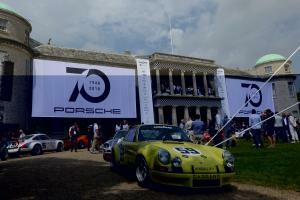 And happy birthday too, Goodwood Festival of Speed. Long may you both continue. 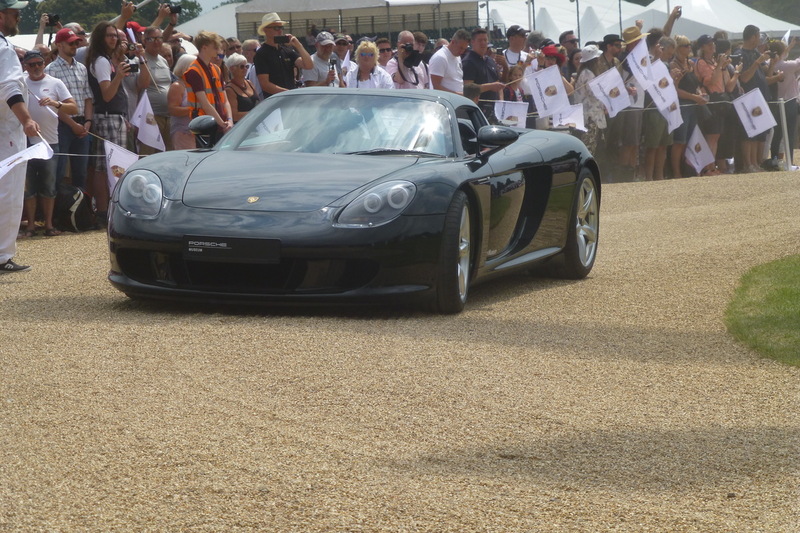 Is Getting a Car on Finance Always the Best Option? 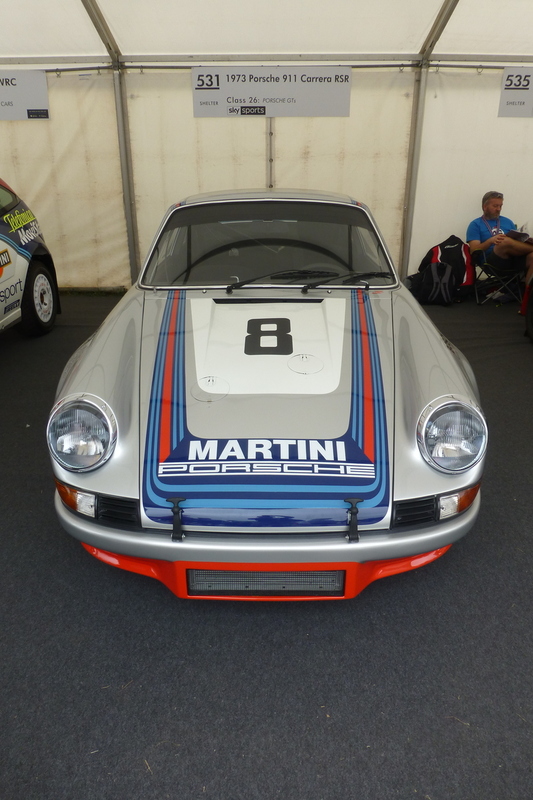 How Challenging Is It To Sell A Used Car?